Rapidly evolving technology means customer demands change just as quickly. How does your business plan to keep up? Customer journey mapping might be the way to improve CX. This strategy can help you understand your customers, improve buyer engagement and make you more agile to changing customer demands. 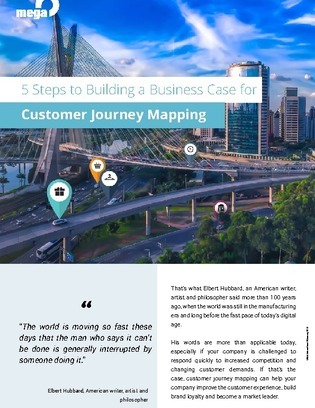 Discover 5 steps to help you build the case that customer journey mapping can improve your CX.